A public meeting focusing on the human rights’ campaign to free Marian Price, takes place this evening in Richardson’s, Eyre Square, at 8pm. The meeting will be addressed by Fianna Fáil agriculture spokesperson and Galway West TD Éamon Ó Cuív and Fr Raymond Murray, a human rights campaigner, who was formerly chaplain in Armagh’s women’s prison in the 1970s and early 1980s. Marian Price came to prominence in the 1970s along with her sister Dolores when they were arrested, charged, and convicted for causing a number of bombings in London. Both sisters demanded to be repatriated to Ireland to serve their sentences. The two were eventually transferred to Armagh Gaol and in 1981 were released from prison under a royal pardon principally due to their serious ill-health. 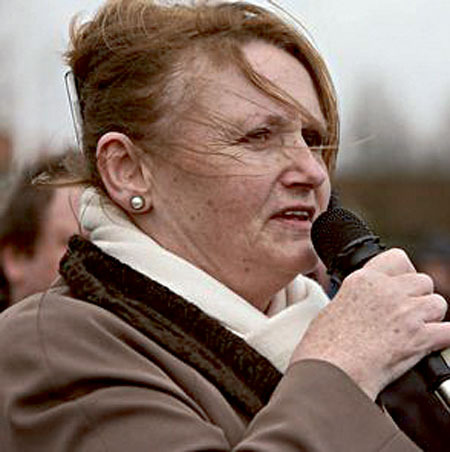 Ms Price’s return to prison occurred in April 2010 after she had spoken at an Easter Commemoration in Derry. Owen Patterson, the then Northern Ireland secretary of state, claimed she had contravened her release conditions from 1981 and should remain incarcerated. This was in spite of there being no conditions attached to her royal pardon, which has since ‘gone missing’ from the British Home Office. Marian Price is chronically ill and a campaign has begun calling for her release. Fr Murray and Dep Ó Cuív have visited her on separate occasions. There are two other people, Martin Corey and Gerry McGeough, who are also in jail at the behest of Owen Patterson. Mr Corey has been in gaol since 2010, while Mr McGeough has been more than five and a half years in prison. Dep Ó Cuív has also visited both men and will speak about their imprisonment. All are welcome to the talk.